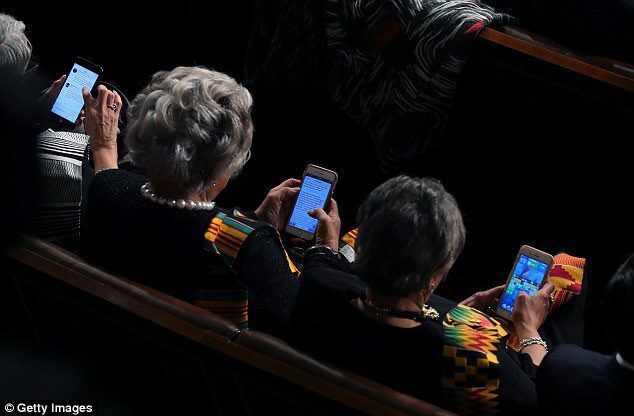 A Democratic congresswoman was caught on camera playing Candy Crush during Tuesday night’s State of the Union address. 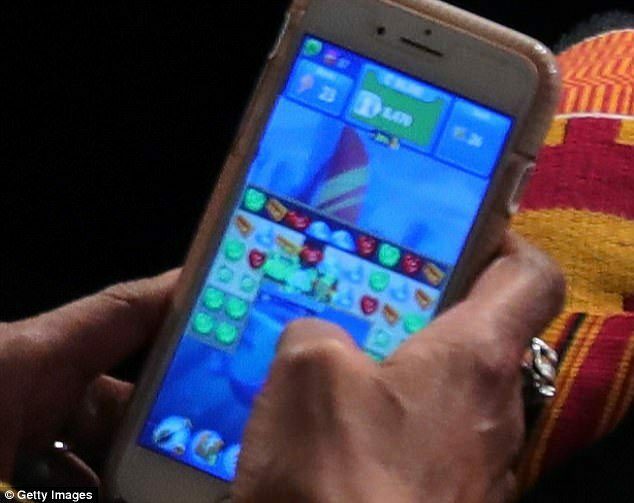 Michigan Rep. Brenda Lawrence tapped her way through the game on her iPhone while Donald Trump was speaking about revamping America’s international trade posture. 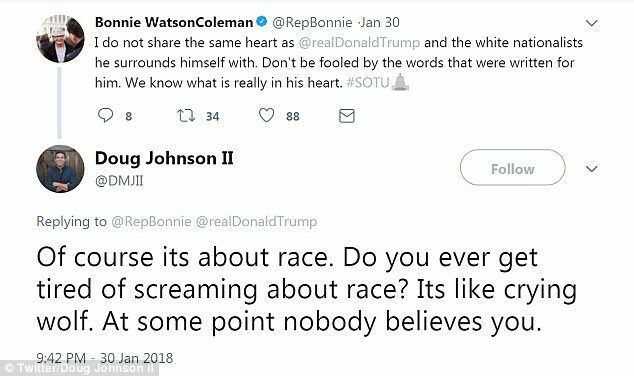 New Jersey Rep. Bonnie Watson Coleman was reading responses to her tweet about the president’s alleged ‘white nationalism’ while he talked. And Ohio Rep. Joyce Beatty was inspecting a proposed press release reacting to the speech – while it was barely a third of the way through. 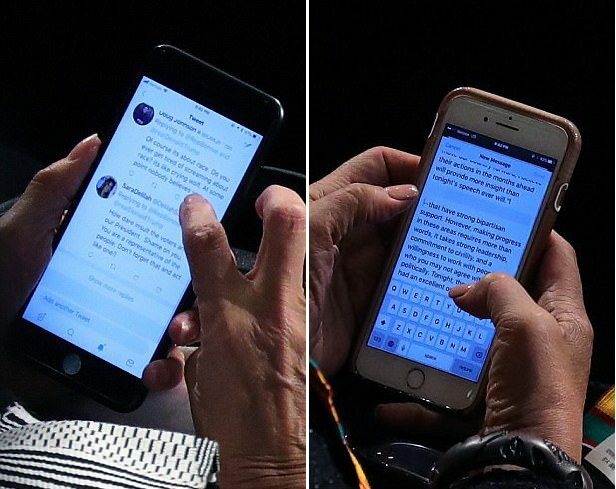 Beatty’s spokesman told DailyMail.com on Thursday that she had read the entire speech already, and wasn’t doing anything out of the ordinary. 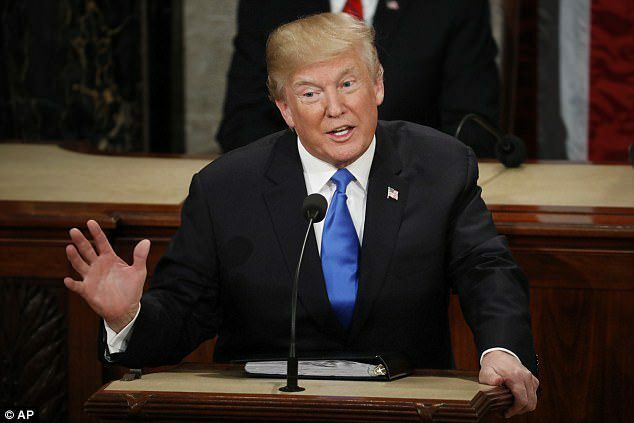 ‘That State of the Union is put out an hour in advance so Democrats and Republicans can read along,’ the spokesman said. The other two congresswomen’s offices, however, didn’t offer any explanation. Lawrence’s spokeswoman said she was ‘in an event’ and couldn’t be reached, and offered no explanation. It’s unclear from the picture what level of Candy Crush she was on. 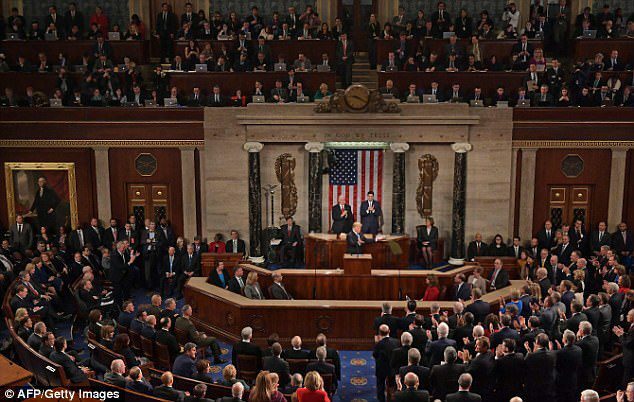 Members of Congress are paid $174,000 per year. Lawrence has boasted that she is ‘the only Member of Congress with the experience of a full career in the Postal Service.’ Her postoffice career spanned three decades. Watson Coleman’s representative did not respond to a request for comment. A photographer captured the telling image at 9:42 p.m., according to Getty Images. 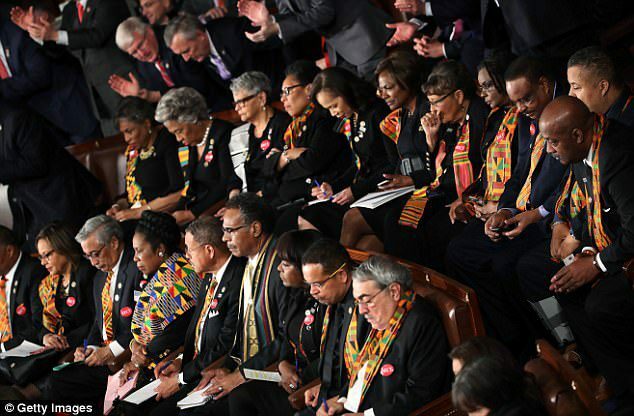 The Congressional Black Caucus member’s tweet left no doubt about her feelings toward Trump. On her screen when the photo was snapped was a disbelieving response from a Trump supporter. 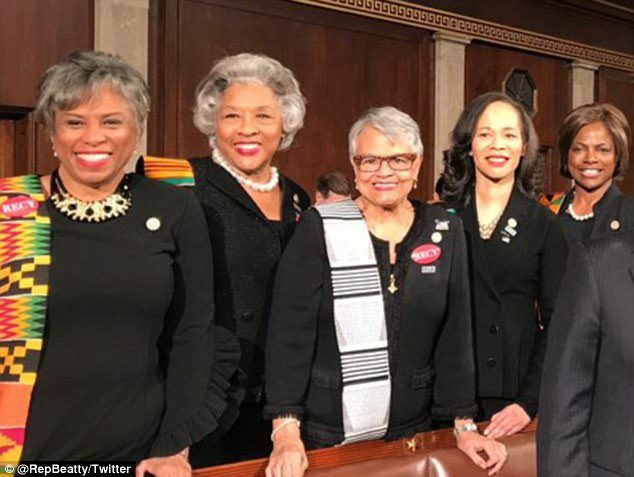 Tuesday’s candid photograph was shot from behind the three women, but a group shot of CBC members posted by Beatty on Twitter makes it clear who they were based on their outfits, jewelry, and position.